About Us - Bruno Frustaci Contracting Inc.
Bruno Frustaci Contracting, Inc. is a Brooklyn based full service Construction Company providing site development, project management, and cost control to the public and private sectors. We have a background covering a wide range of residential, commercial, public, institutional, and infrastructure building projects throughout all of the New York City five boroughs. We also perform excavation, pile driving, and concrete forming, placing and finishing services. Bruno Frustaci Contracting, Inc. provides superior project management and general contracting services to a diverse client base in New York City. Combined, our leadership possesses more than 40 years experience in the industry. 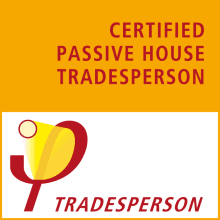 That background includes strong relationships with a vast array of top professionals in all trades. Bruno Frustaci Contracting, Inc. expertise lays in the public sector of New York City with projects in new construction, multi-unit gut rehabilitation, and landmark properties. We have worked on many well-known New York City landmarks including the Gibb Mansion in Bedford-Stuyvesant section of Brooklyn and the Denison-White Mansion in the Longwood section of the Bronx. Bruno Frustaci Contracting, Inc., is 2nd generation family owned and controlled. The siblings Antonio, Bruno, and Caterina Frustaci, together have built a successful company and today are regarded as one of the leading construction companies in New York City. Oversees the company’s day-to-day operations. Manages the organization’s construction activities in the field. Manages all financial aspects of the business.